Sunshine! It’s Time to run! Okay, you filled out our New Member Form, read all our FAQs and took a look at the run schedule. Now all you have to do is come out and meet us. This Saturday February 25th at 9am, come on out to the New Member Run and Orientation (an easy conversational, no pressure 2-3miles), then learn all about how you can become a part of the warm CHRC community and family. 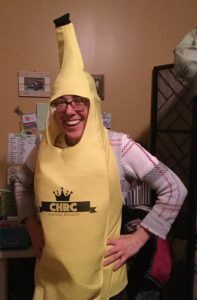 Find out how you can get involved with our #CHRC or #CHRCTrails teams at races, become a #CHRCNegativeSplit Banana, volunteer with us at #GOTR events, become a run leader or meet your Crown Heights running neighbors #RunningRoyalty. You may also join us 10:00am at Berg’n for the Orientation and coffee if you are unable to attend the run. Look for our amazing Royal Council Members, Elly and Kristen to be inducted as Royalty! On Saturday February 25th, we will be 12 weeks away from the Airbnb Brooklyn Half Marathon. This big event starts in our neighborhood and celebrates all things Brooklyn like no other event. Don’t be left behind, let’s kick-off the spring training season with friends and run buddies. 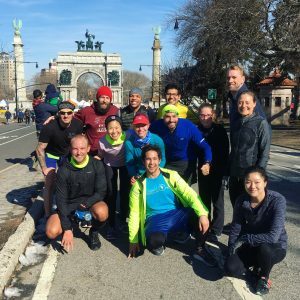 Join us for the New Member Run (see above) or our regularly scheduled Long One before you come on out and get some training tips from (Coach) Nate! Nate is a seasoned long-distance runner who has seen racing from both a runner’s and organizer’s perspectives. He’ll be providing 6 tips to build toward a successful race and a quick summary of resources to support each runner’s goals. You will have the chance to meet other members and neighbors getting ready for the race. Whether this is your first or 30th Half Marathon, we’ll support you through the coming weeks of training! Want some inspiration? 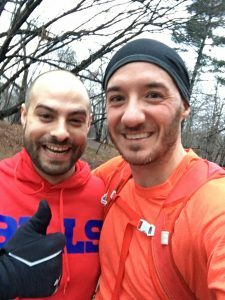 Check out our members’ recaps from the 2016 Brooklyn Half! Do you love split squats? Do you love pike push ups? Do you love bear crawls BACKWARDS? Thankfully here’s your chance to experience the magic!! Joe is leading his Pop Up Strength and Conditioning Workout again on Wednesday February 22 @7:30 PM. We will be strengthening all of you to keep you injury free this race season. Meet at Grand Army Plaza entrance to Prospect Park at the Flatbush side bike racks. 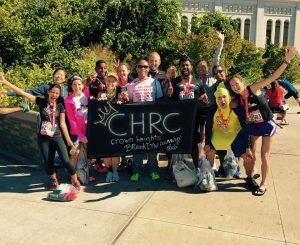 Just a reminder if you want to be in on the planning for accommodations, food and transportation up to the race, send us an email at contact@crownheightsrunningclub.nyc to be in on the CHRC group plans. We will be planning 2 pre-race trips up by train to run parts of the course which will be either Saturday March 11/18 (let us know if you have any strong preferences) and on Sunday March 26. All members welcome to join! All our regular runs are ongoing as usual.